It takes approximately 200 yds. of yarn to make a 4' scarf, 300 yds. to make a 6' scarf. (Your exact mileage will depend on how heavy the yarn is and what needle size you choose.) 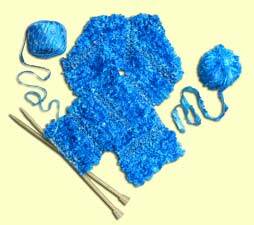 Use all one yarn, or experiment with alternating among multiple yarns to get a striped or patchwork effect. Variegated and self-striping yarns are particularly well-suited for this project. 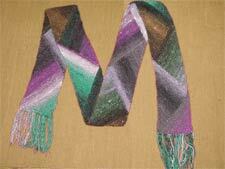 This simple scarf is knitted in garter stitch, meaning you just knit every row. Ideal for beginner knitters and advanced knitters alike, it's fast to complete and you'll be wearing it in just a few hours.